Tempo traveller on rent in pune available in 13 seater and 17 seater with pushback seats, 13 seater and 17 seater Tempo traveler both are stylish passenger vehicle also comfortable, and one can Save Three to four Vehicle Cost when you wanted hire car for your family or group trip. also enjoy journey together. 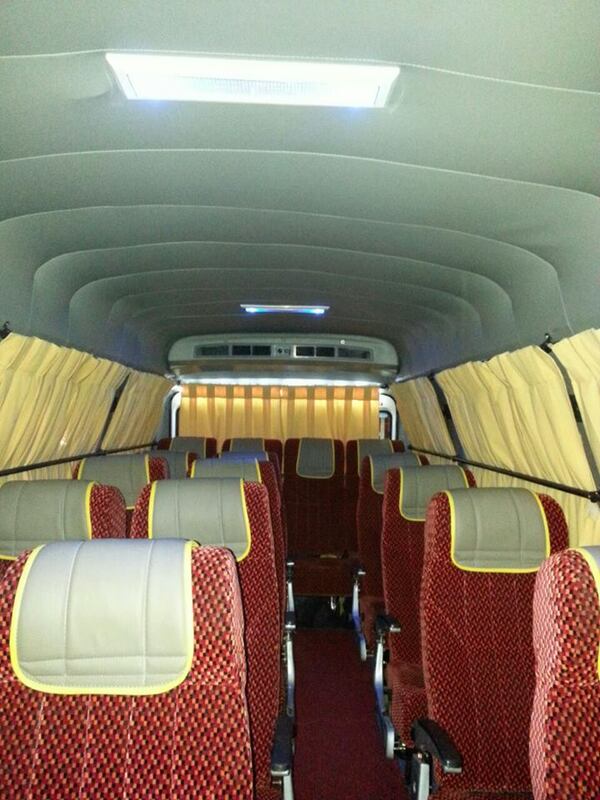 All Luxurious seating with push back seats in both vehicle 13 seater 17 Seater Tempo Traveler . body structure of Tempo Traveler Monocoque which is total safety. NVH (noise, vibration and harshness) levels, for silent drives. re-engineered to deliver significant reduction of noise, vibration and harshness in passenger area. We offer 13 seater Tempo Traveller, 17 seater Tempo Traveller, also 20 Seater , 24 Seater 27 Seater 31 Seater Bus Hire In Pune, 41 Seater AC Bus Hire In Pune, 50 Seater Bus Hire In Pune. All vehicle are in good condition most of coach are modified for make your journey make better, comfort luxurious journey. We always engage with something creative/ trying to deliver good services to our customer . 13 seater 17 seater And other coaches most comfortable and also luxurious vehicle for group travel, group tour, family tour, companies employee tour, school tour, colleges tour. We also provide tour tours packages to our customer tour. Our tour packages are flexible, we offer tour package as per customer need. As per customer need we customize tour, including that we offer transportation, hotel booking, from Pune, Mumbai, Shirdi, Aurangabad, Customer can book their tour, vehicle booking by online or enquire.